Romare Bearden was an iconic artist and art historian, with a special affinity for African-American art and jazz. He grew up in Pittsburgh and in New York, and went to Peabody High School with Billy Eckstine. The New York Times called him "the nation's foremost collagist. 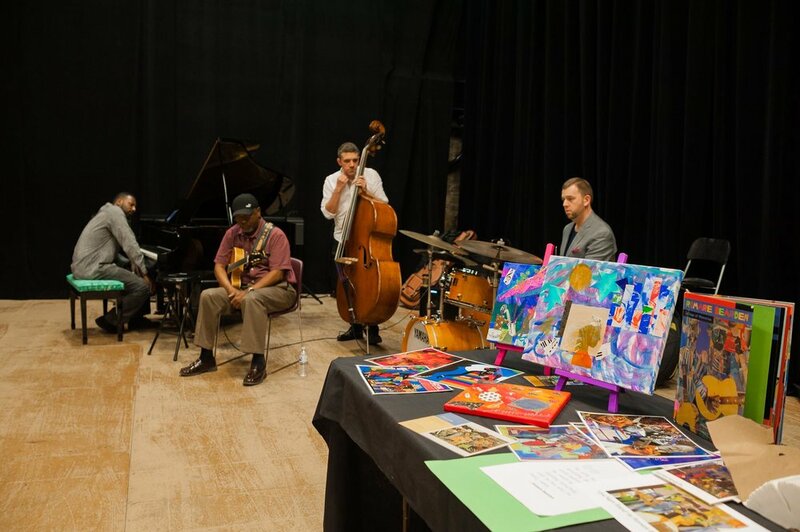 This Saturday, April 13, the inspirations of art and jazz convene at the The Pittsburgh Cultural Trust Education Center. It's a fascinating opportunity to hear, learn, listen and create in the forms of music and visual art. This event includes listening, learning, and creating art. Romare Beardon could visually express a feel for jazz - and you can immerse yourself in that feeling, too.